Hi :), how is your week going? 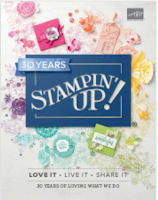 I love the title of my blog today, and one of the first stamp sets I bought from this current Catalogue that Stampin'Up! launched in July was the gorgeous Hello Friend set. 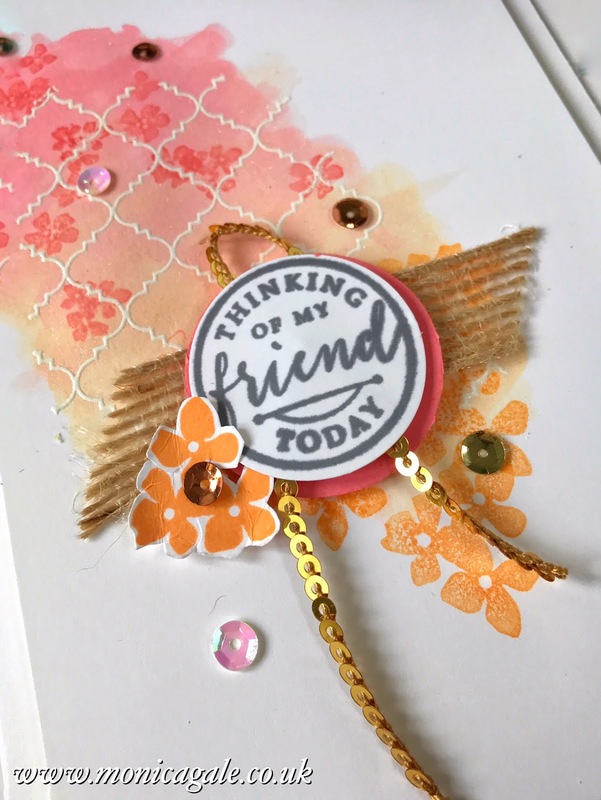 I am blessed beyond words to have some over the top amazing friends in my life, and this set is perfect for celebrating their amazingness or for letting them know you are thinking of them when life throws them a curve ball. I have *played* with this particular set quite a bit over the last few weeks, I am also a fan of the matching Hello Friend Heat Embossed Project Kit which is what I used for all of my Retreat gift presentation this year. BTW, I know you are waiting for details of this year's retreat and I cannot wait to share them with you very soon. Its been a longer wait this time round as the first session was on the 1st of October, and my second session won't be held until the end of October, not long now and all will be revealed. 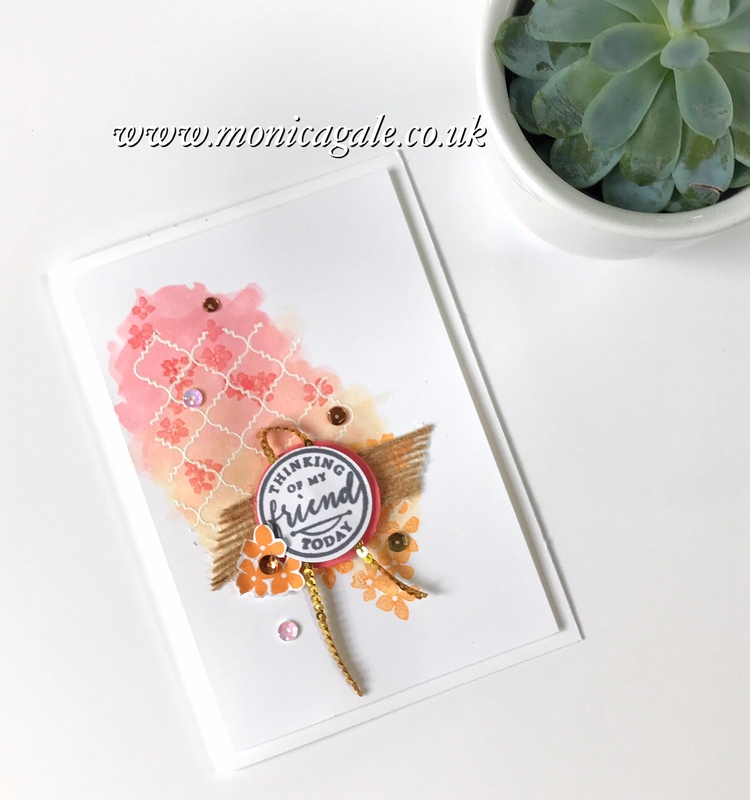 The beautiful lattice background was heat embossed in white powder and a watercolour wash was added using the Peekaboo Peach and Flirty Flamingo inks. A few over stamped flowers cried a lively background showed off by the whiteness of the card base. 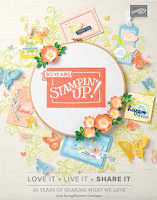 The sentiment was stamped in Basic Grey ink and layered on a Flirty Flamingo circle, a few stamped and fussy cut flowers and some sequins added sparkle, the small section of burlap ribbon added texture. What do you think? do you have this set yet?? If you don't but you fancy owning it CLICK HERE to order yours today. I wish you a lovely rest of the week, thank you for visiting me today.